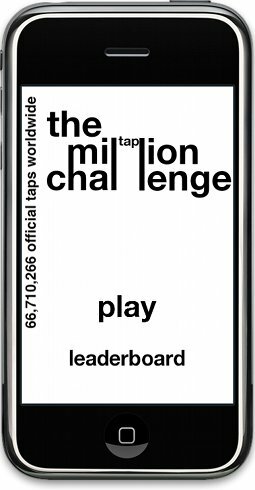 A totally rewritten version of Million Taps has been submitted for review! Here's hoping the great people at Apple will give it the thumbs up! This has been in development for two years, an hour here an hour there. Anytime I had some free time to spare. It is a relief to finally get it submitted! Fixed several bugs mentioned in the forums, mostly dealing with ranking information. Raw ranking information is now available under the "Leaderboards" section. It is updated every day, and is importable into excel. Your progress is now clearly displayed. 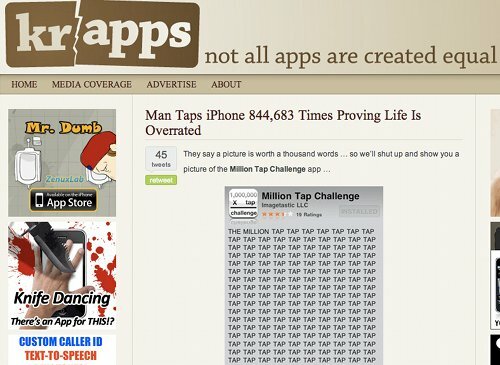 You can see how many taps you have, and how many to go to the next ranking. Style points are now tracked! If you move your phone or drag your fingers while tapping you get style! 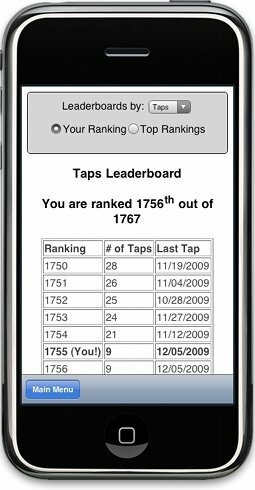 Better leaderboards, with more statistics: taps, speed, and style. 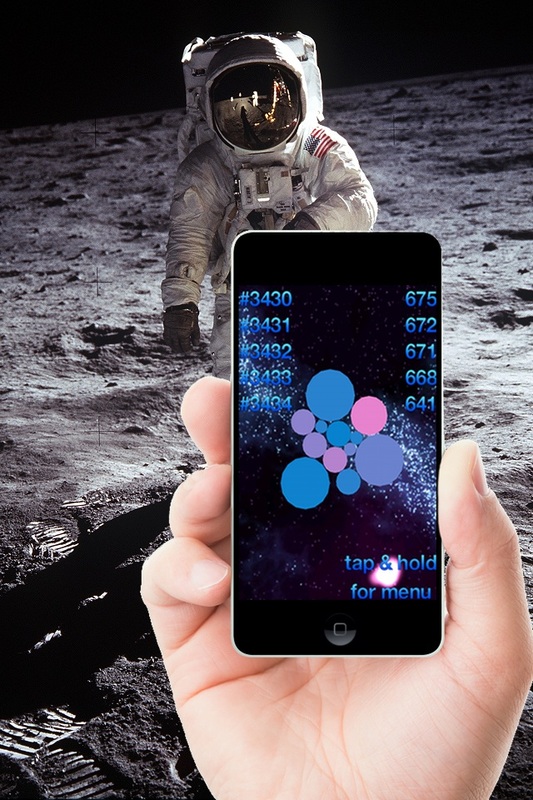 Fixed several bugs: greatly improved feedback, and network data calls. Comment on this in the forums! This Day in Tapping History: Father and Son Use a Sausage to Tap! True tapping legends! Hell yeah! 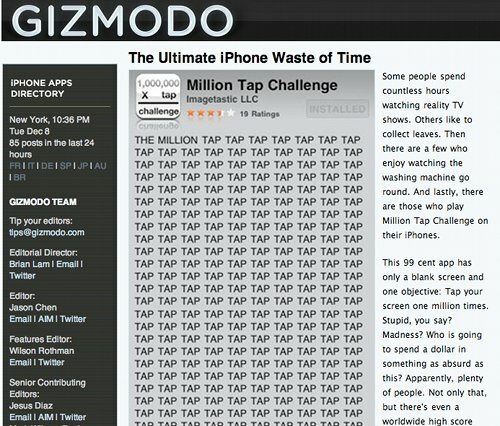 PEOPLE HAVE TAPPING FEVER! IT IS SWEEPING THE WORLD!